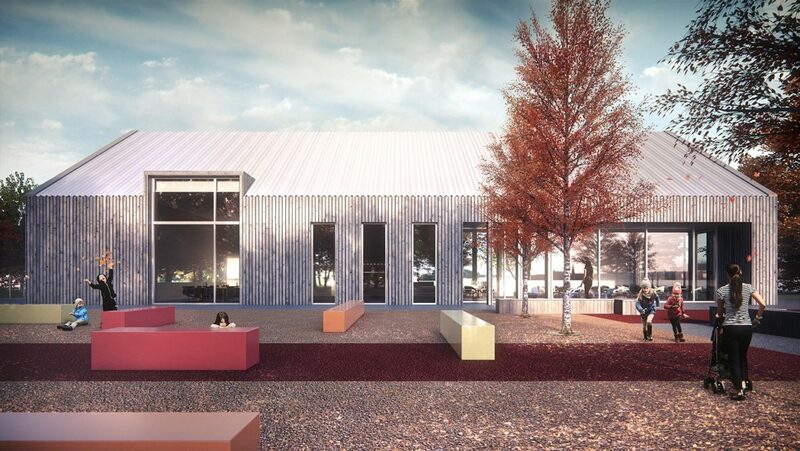 Collective Architecture are currently on site with a new community hub facility for Tayport Community Trust. The facility is designed to have light flexible spaces to cater for a range of uses including Sports, Arts, Business and Tourism. The building should offer something for everyone. It will create jobs, enhance health, attract visitors, foster sustainability, and bring renewed interest to this often forgotten corner of the North of Fife. The site has a unique setting located at the southern edge of Tayport next to three Sites of Special Scientific Interest. In responding to the rich history of the site and the wider landscape setting, the proposal touches the landscape lightly, nestling in its surroundings, whilst gently reflecting the industrial past of the site. Inspired by agricultural forms, the project consists of 2 pitched blocks with regular forms. The dual form massing and material selection reflect the internal organisation of the building. The benefits of maximising the pitched roof forms were recognised to create additional accommodation on an upper floor whilst keeping massing to a minimum. Materials have been carefully selected to reflect and enhance the evocative and peaceful nature of the surrounding landscape. Vertical timber cladding envelopes the community and tourist strand of the building. 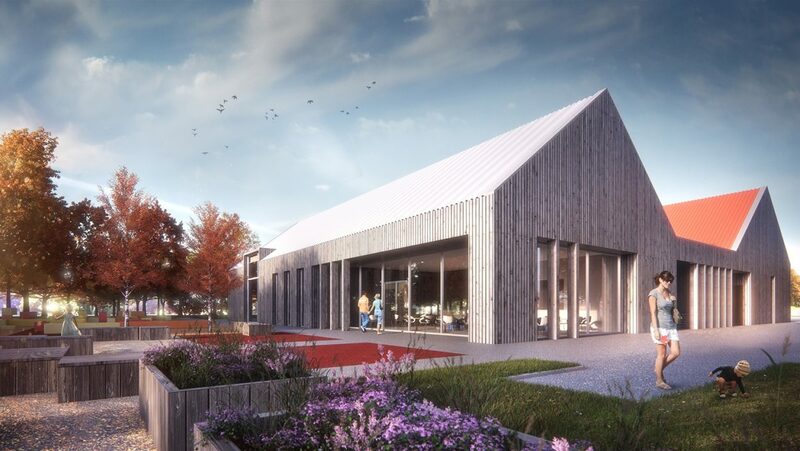 The selected silvery grey Scottish Larch alludes to maturity and quality, whilst the silver corrugated roof enhances the tone of the timber and provides a solidity and stillness. In the larger sports block, uniform metal cladding has been select to contrast with the Scottish Larch and make reference to the former steel work industry previously located on the site. Whilst contrasting with the earthiness of the adjacent block, the metal cladding will glisten when wet, reflecting dappled woodland light.